80(p) pence saved is 25(£) pounds burnt. Last Friday, Ouisie and I went to our weekly music class. As the library is in the same building, we then returned our books and picked a few to borrow. With a list of errands still to do, I begged Ouisie to use the toilet before going back to the car. The persuading took several minutes and resulted in her splashing water in the sink- rather than the toilet bowl. Upon exiting the community centre I spotted a Parking Enforcement Officer writing a ticket in front of my car. I glanced at my watch. My ticket was expired by 15 minutes. I felt my blood begin to boil. I hoisted Ouisie up to my hip and ran waving and shouting hysterically at the officer, while dodging traffic, towards my targeted car. As I took the final stride, and tried to catch my breath, I watched the ticket emerge from the machine. I detest paying for parking, especially here in the countryside. Paying for parking in London, I get it–space is a premium. I try to pay only the exact hourly fee as most stingy machines keep any extra change. Friday morning I wanted to squeeze a few extra minutes out of the meter, and lost. 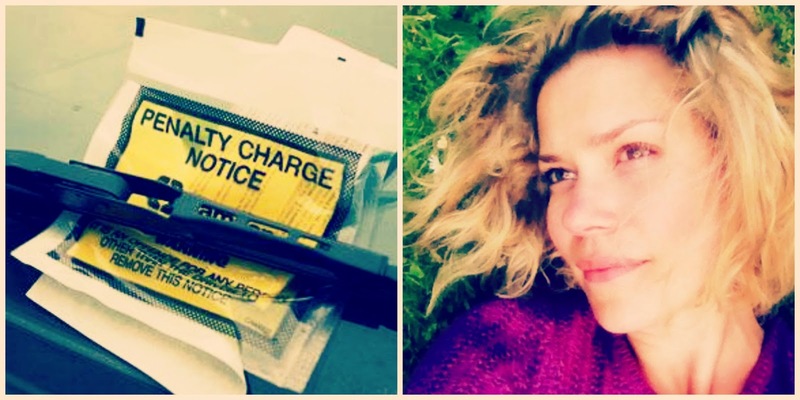 The bright yellow parking ticket cast a dark cloud over my mood. I wanted to throw myself on the asphalt and have a temper tantrum. I restrained my tongue from lashing out at the unyielding officer, and only shed a few frustrated tears once back in my car. Friday’s to-do list had included buying a new tube for Chef’s flat tire. While the cycle shop was just across from the parking lot, I could not bother doing something nice. I just wanted to get home and sulk. For the next (three) hour(s) I was irritable and irritated at Ouisie. I wanted to blame her for the parking ticket. Was I not the one who could tell time? Was it not me who needed the toilet more than she? Why did I not just pay the lousy machine an extra 80p? That afternoon, rather than pay the fine, I filed a complaint with the local district. Seeing as I pay their parking meters on a weekly basis, their council tax on a monthly basis, and their public toilets are sparse when a toddler decides its time to ‘go’, why not? But still, I felt unhappy. I was desperate to get out of my funk. With the sun shining, I hoped a walk and some fresh air would lift my mood. Ouisie, Carib and I walked to the end of our lane.Where we normally turn around and walk back home, we ventured further down the marked footpath. There we found a little oasis. A family’s home is located at the end of the lane and is positioned around an old mill. A stream borders the picturesque property with grazing ducks and geese at its banks. As we followed the footpath across a small bridge I felt the flowing current sweep my tension downstream. We crossed the bridge to gather Poohsticks. 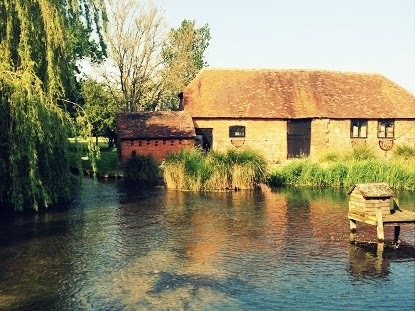 If you’ve never played Poohsticks, you should. 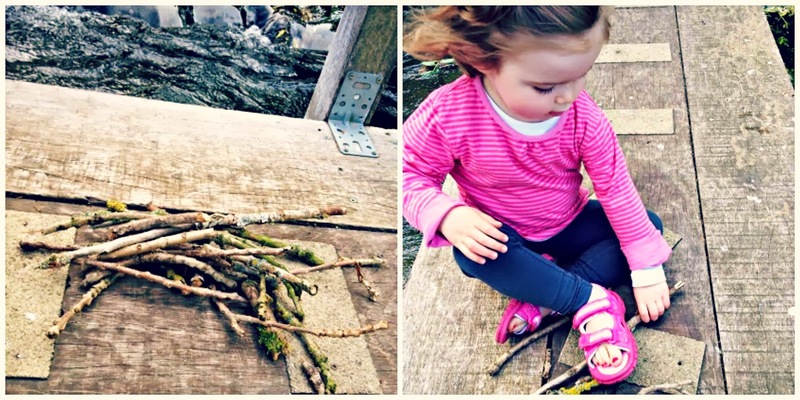 All you need to get started are some sticks and a bridge over running water. Each player drops a stick on the upstream side of a bridge and the one whose stick first appears on the downstream side is the winner. Ouisie and I then gathered geese feathers and spread our wings for flight. We found spider webs and sang “Itsy Bitsy Spider” to the famous arachnid. We laid in the grass and looked at airplanes flying overhead. 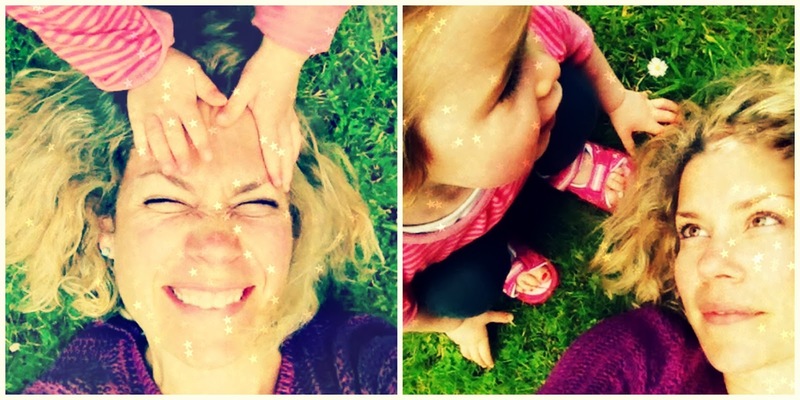 I felt joy and thereby, regained my focus on being present for playtime with my daughter. With the funk out, I felt re-energised. Within 14-days the council will review my complaint regarding the parking penalty. I will be sorely disappointed if I have to pay but, regardless of its outcome, I am grateful for the lesson learned. Last Friday I tried too hard to be good. My intentions were genuine, but I was more focused on the clock than the purpose. Knowing we were pressed for time by the parking meter, I rushed Ouisie out of music class and denied her requests to read her books in the library. An extra 80p was only required to guarantee that precious time with my little girl. Our evening walk provided me with a small epiphany. 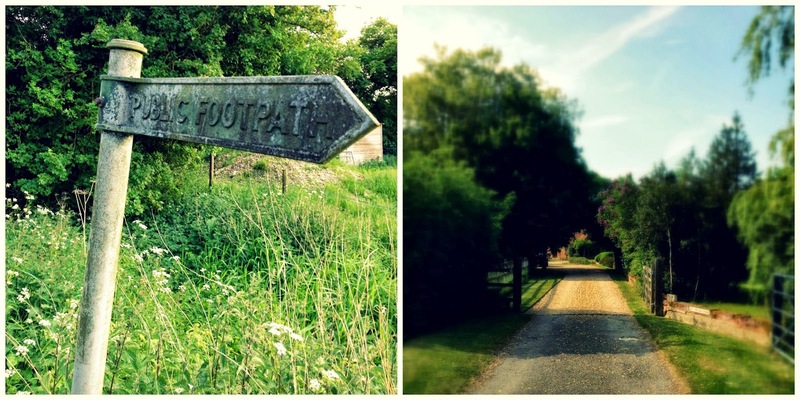 With no parking meter dictating our time schedule, the footpath was ours to explore, learn, laugh, and just be happy. By feeling happy, I felt like I was able to be a better and more engaging mother. Wishing to prevent future meters interfering with my happiness, I have resolved to simply carry extra change. Penny for your thoughts? We could all take a lesson from this story on how to turn lemons into lemonade. 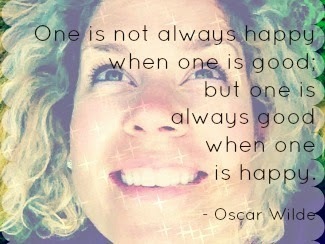 What a wonderful life lesson for Eloise too! You're a great writer but, more importantly, a #1 Mom! Lemons can be sour… but lemonade is sure sweet! Thanks for your kind salute! I've been meaning to leave a note to tell you how lovely this blog was. Also, I wanted to tell you that the morning I read it (at breakfast – a lovely thing to read at the start of the day), I was then on my way to work on the tube (subway! ), and I saw quite a different kind of Mother in action. A beautiful lively little girl, about Eloise's age, was sweetly and desperately trying to get her Mothers attention. Said Mother had iPhone headphones stuffed in her ears, generously sharing her music with all her fellow passengers, and was not interested in the slightest in the curious little enquiries of the small person beside her. The child was trying so hard to ask a question, and the Mother just shouted at her through whatever she was listening to, trying to get her to be silent, and sharing her foul mouth with the entire carriage in so doing. Then she must have received a call on her phone, since she fumbled with her phone, and started to say hello. The little girls face lit up, it seemed she thought Mum was engaging with her, and she started to say hello back. Her sweet hellos went unanswered. The Mother remained oblivious, and began a loud conversation with whomsoever was on the other end of the phone. The little girl's face crumpled in confusion, when she (presumably) realised that her Mother was not infact about to begin a chat with her. I wanted to weep (and howl at that Mother), as I thought(fresh in my mind from my breakfast read) of the gentle attentive, and loving Mother that you are to Eloise. How very different the young world of my little fellow traveller seemed to be. It made me sad for the little girl, but served to contrast with, and remind me, with how much love Eloise is surrounded. I hope I can be half the Mother that you are, if I am ever blessed with the task. Madame LaLande, This is by far the most thorough and heartfelt comment this little blog has ever had in print. I cannot thank you enough for sharing and just wish we could give that sweet child some cuddles and toss that interrupting phone out a window!